FORT LAUDERDALE, Fla. /Florida Newswire/ — PitBullTax Institute, an educational branch of the well-established IRS Tax Resolution Software, organizes its Second PitBullTax User Conference: “Tax Resolution Expert Program.” It will take place on September 20-21-22, 2018 at the Hilton Fort Lauderdale Beach Resort. This conference is designed exclusively for existing and potential users of PitBullTax Software. 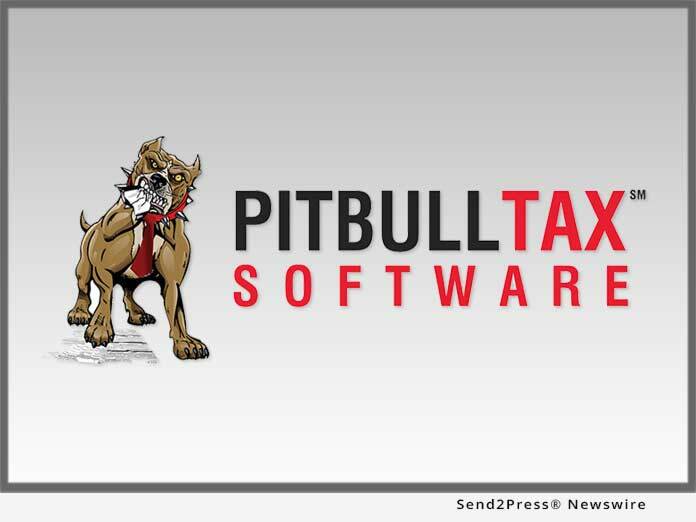 The First User Conference held in May 2018 was a huge success; that is why PitBullTax Institute decided to go further and provide tax representatives with even more advanced tools to become a Certified Expert User of PitBullTax Software and finely tune their tax resolution skills. Software demonstrations will saturate the entire three days of the conference to address even more topics than at its first conference. Therefore, users will have a hands-on approach on how to utilize PitBullTax Software more efficiently. To address growing interest of its audience, two additional classes are introduced at the Second User Conference. One will teach tips and techniques on how to fight enforcement collection activities such as federal tax liens, bank levies and wage garnishments. This new class coincides with the introduction by PitBullTax Software of three new IRS Forms used for withdrawal, discharge and subordination of the federal tax liens. The second new class will present practitioners with the winning methods of attracting new tax resolution clients. There is also a bonus marketing class “The 7-Figure Tax Resolution Practice Blueprint” presented by the guest speaker and marketing guru Michael Rozbruch, will undoubtedly peak the attention of the conference attendees. All participants of the PitBullTax User Conference will get printed course materials including a complete software manual with screenshots and step-by-step instructions. Multiple case studies are updated for the Second User Conference and will be covered in detail during the classes. Because PitBullTax Institute is an approved continuing education provider by the IRS and NASBA, CPAs and Enrolled Agents will get CPE and CE credits for this 3-day program. Tax Resolution Expert Program combines theory, practice and cutting-edge technology to save tax representatives countless hours on every case and increase their profits dramatically and immediately. Novices and pros alike will greatly benefit from this exclusive conference by gaining and upgrading tax resolution knowledge, earning CPE/CE credits and increasing business efficiency and profitability. As a special bonus, all attendees, including support staff, will become Certified Expert Users of PitBullTax Software. Tax representatives will get complete training on the extensive platform and learn all the tips and the hidden gems in this comprehensive software. For one program you get two certificates! The PitBullTax User Conference is organized for CPAs, Enrolled Agents and Tax Attorneys who want to efficiently learn and master the techniques of the Tax Resolution specialty while becoming experts in the most cutting-edge software platform available today. Tax representatives are invited to enjoy a beachfront vacation with a family while gaining new skills and learning how to make their tax resolution practices more profitable! PitBullTax active licensees receive discounts on conference registration and preferred prices on the ocean view rooms at the Hilton. Get more information about the event at https://institute.pitbulltax.com/.